Making the world better, one investment at a time. Seven Hound Ventures is a single-source, boutique venture capital fund based in Los Angeles that is focused on pioneering technology startups that curate, create, and inspire entrepreneurs to change the world. We are currently invested in 28 iconic brands and businesses that are improving the way technology and science come together to enhance the lives of millions of people around the globe every day. ALOHA is on a mission to make healthy living simple and accessible to everyone through clean, organic, plant-based food. With focus on the Protein Powder, Protein Bars, and Superfood Greens categories, ALOHA creates organic products meant to be savored and enjoyed without sacrificing taste or nutrition. Every item is formulated to the highest standard, nutrient-rich, and thoughtfully packaged with deep respect for both people and the environment. ALOHA is currently available at Target, HEB, CVS, Rite Aid, Meijer, Stop & Shop, Shaws, Amazon, and many others. The BLOCKv platform enables the creation of vAtoms, a new digital asset class that bridges the gap between physical and digital worlds, generating one-to-one experiences and creating new levels of human engagement. For the first time, virtual objects—vAtoms—can come alive to provide a vivid experience layer for the blockchain by transforming static objects into dynamic virtual goods that are individually owned. Yours to share, trade, sell, redeem, gift, collect, or admire. Interactive digital goods that can be moved seamlessly and instantly between users and across any smart device. vAtoms are the new standard for digital objects and have the ability to transform industries and become the foundation of the emerging virtual goods economy. Buckle is a unique InsureTech startup, building next generation insurance and financial services applications for rideshare drivers. Brella is a new model of on-demand child care center that combines flexible scheduling with high quality care. Our fully licensed program features an enrichment-based curriculum, age-appropriate classrooms and caregiver-child ratios. Unlike traditional daycare centers, Brella's flexible child care is priced by the hour with no long-term contracts. Additionally, Brella offers optional onsite amenities for parents, including work space (individual workstations, meeting rooms, and phone booths) and curated wellness classes (yoga, meditation, parenting classes). Parents may also leave the premises and return to the office, home, or wherever they need to be. Brella Playa Vista will open Spring of 2019.
creates residential real estate funds called Cityfunds. The team that makes up Compound are stewards of capital and their goal is to generate outstanding results for our investors while applying the highest standards of integrity and discipline. Compound is reimagining the $2.7 trillion real estate investment management industry for the next generation of investors—individuals, institutions, and foreign nationals. Crosscut Ventures is a seed-stage venture capital firm in Los Angeles. The firm invests $750,000 to $2,000,000 in the equity of start-ups that have the potential to scale, disrupt, and build large markets. Crosscut is a catalyst for innovation, bringing decades of expertise in technology and entrepreneurship to help passionate founders build world-class companies. Founded in LA, the firm has been committed to powering the entrepreneurship community in southern California since 2008. Exclusively.in is the world class destination for the Indian-inspired luxury lifestyle with unprecedented access to the best in Indian-inspired apparel, jewelry, and accessories. Exclusively.in is a pioneer in Indian e-commerce, and is the world’s leading online retailer of Indian fashion. The company has offices in New Delhi and New York City, and a strong, tightly-knit team dedicated to bringing world-class products from India to the global marketplace. It was acquired by Myntra in December 2012. Enplug is modernizing the digital billboard experience by leveraging social networks, displaying live visual content for customers and employees. The TV display screens share customized social media updates, company news and performance stats, as well as, graphics and videos for training and promotions. Enplug is headquartered in Los Angeles, CA. The company has global offices in Brazil, UK, Japan, and Australia. Finless Foods will revolutionize the seafood industry by providing appetizing alternatives to existing products without impacting the environment. Finless Foods envisions a future where fish meat for human consumption is grown outside of whole fish. This will be achieved by using fish stem cells harvested from living fish to produce fish meat that is fresh and free of mercury, one of the major concerns with natural fish products. Get Help® is a technology company creating solutions and revolutionizing the health care industry. Founded, owned, and operated by licensed doctors, Get Help®’s goal is that everyone everywhere gets the help they need when they need it. Focusing on addiction treatments and recovery programs, individuals seeking help can quickly and easily identify the best treatment possible. Get Help® aims to create a paradigm shift not just in the governance of the substance abuse and mental health industry, but universally across healthcare. Hydroponics Inc is a full-service hydroponics and organics shop providing a large selection of products that service growers specializing in hydroponics. Hydroponics Inc stays on top of the newest innovations and growing techniques to help their customers succeed. Jebbit has built the world’s first declared data platform. The platform enables marketing and sales teams to create beautiful, mobile experiences aimed at capturing the most important consumer data an enterprise needs. Instead of relying on third-party data which is often highly inaccurate and incomplete, enterprise brands use Jebbit to capture consumer intentions, motivations, and preferences. Jebbit was named one of the Top 25 Most Promising Companies in the World by CNBC, the Best Tech Culture in Boston 2016, and its co-founders are Forbes 30 Under 30 honorees. Founded in 2008, Kairos unites the next generation of entrepreneurs with today’s leading innovators to address high-impact market opportunities. We are committed to advancing the world through innovation in areas such as education, healthcare, and clean energy—we believe that these global challenges are entrepreneurs' greatest opportunities. The Kairos Society is a global community of top students and global leaders who aim to solve the world’s greatest challenges. Kairos is supported by international mentors like Peter Diamandis, Richard Branson, Bill Gates, and Bill Clinton. Little Spoon is a fresh, organic baby food and nutrition company designed for the modern parent. They’ve created a comprehensive nutrition solution, producing it in modular packaging. 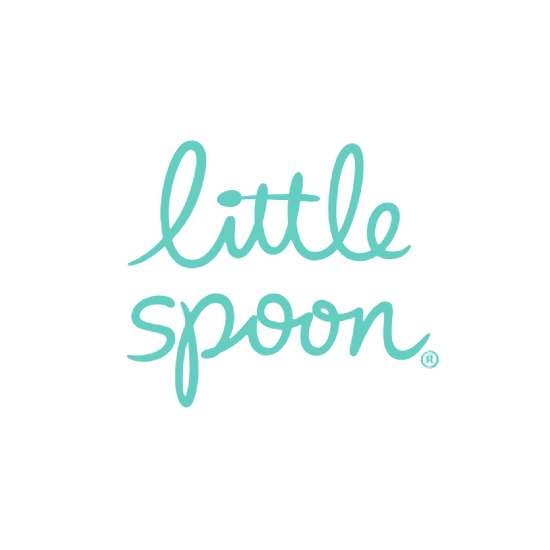 These health-conscious products are delivered straight to customers’ homes across the U.S.
Little Spoon’s mission is to help modern parents set their children up for a lifetime of success and health by making thoughtfully designed, high-quality products. Read more about our investment here. LocalMaven helps businesses everywhere grow from word-of-mouth referrals and brand advocates to monetize their influence. This tech start-up facilitates the giving, acceptance, and rewarding for successful referrals in a way that benefits everyone: businesses, brand advocates, and customers. LocalMaven allows for the easy creation of referral programs that motivate customers to accept a referral from brand advocates who are incentivized to promote the business. 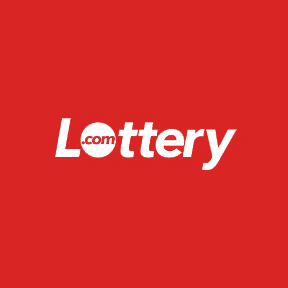 The company works with state regulators to advance the lottery industry, generating increased revenues, better regulatory capabilities, and the ability to raise significant funds for social causes and humanitarian need. myLINGO brings you the magic of the movies in your language. This app allows non-English speakers to go the movies and enjoy a film in the language of their choice using their smartphone and headphones. myLINGO listens to the theater audio and plays back the alternative language audio, that is studio approved, through the headphones, perfectly synchronized with the action on screen. Myxer is a streaming internet radio company providing users with 'Listener Controlled Radio'. It's the only free service that allows a user to fine tune their music tastes by artist and song. In addition to offering access to 20 million songs, Myxer also provides access to downloadable entertainment content. Myxer is an ad supported service that also operates the Myxer Music Network with access to over 16 million monthly unique visitors across Slacker, Jango, Tunewiki and Songza. The Myxer Music Network provides access to genre or artist based targeting across multiple premiere services and provides advertiser branded content distribution. Founded in 2010 by three visionary entrepreneurs with decades of experience in investment banking and venture capital, Privateer Holdings represents a group of investors from around the world seeking to end cannabis prohibition and the social harms it causes. Through a combination of acquisitions, investments and incubation, Privateer Holdings is focused on building a portfolio of global brands that will lead, legitimize and define the future of cannabis. In an industry stigmatized by negative perceptions and substandard business practices, Privateer Holdings is elevating consumer expectations through consistent quality and service. Quilt is a platform that enables women to open their homes to other women for conversation, co-working and workshops. It’s a decentralized community experience that allows for the everywoman to convene and build their professional community. We are currently live in Los Angles, New York City, and San Francisco with plans to grow globally. Revinate enables hoteliers to transform their guest data into revenue. With Revinate Marketing and Revinate Guest Feedback, hoteliers are empowered to make smarter decisions, resulting in increased direct revenue and guest engagement. The company is backed by leading Silicon Valley investors and is headquartered in San Francisco with regional offices in Amsterdam and Singapore. Revinate counts tens of thousands of the world’s leading hotels as customers. Spiritual Gangster is a movement designed to join ancient wisdom with modern culture. Inspired by yogis, athletes, artists, and musicians worldwide, Spiritual Gangster creates apparel collections to encourage the high vibration practices of living in gratitude, giving back, and choosing kindness. For every item sold, Spiritual Gangster donates proceeds to provide a meal to a person in need through their partnership with Feeding America. With over 11 million meals donated to date, Spiritual Gangster is collectively impacting the fight against hunger. Stellar Labs builds and delivers innovative flight operations management, commercial management, and global distribution systems for business aviation. Designed in Silicon Valley, Stellar Labs brings together the most advanced technologies and data science to streamline business aviation for operators and travelers alike. Blockchain technology and its associated currencies and markets will be the infrastructure on which much of the world's economic future will be built. The Block is a community that caters to enthusiasts of blockchain technology and cryptoassets. The Block will be the on-ramp to the world of programmable money, distributed ledgers and decentralized applications for 10s of millions of people. Utilizing token-based incentives, The Block will cut through the noise and surface signal in an accessible way across key areas of blockchain and cryptoassets: social engagement and discourse, market information, media, education and much more. The Block believes everyone should have access and an opportunity to participate in the next great expansion of the internet driven by blockchains and cryptoassets. The Block will provide access for the next billion. tZERO is a leading financial technology company which owns, develops, and operates a suite of fintech solutions for capital markets. The tZERO product offering consists of brokerage services, electronic private market place, digital brokerage and Blockchain project development. Vosges Haut-Chocolat was founded in 1998 in Chicago, Illinois when CEO and founder Katrina Markoff pioneered the concept of exotic chocolate by fusing spices, herbs nuts and flavors from around the world with premium chocolate. Vosges Haut-Chocolat continues to lead the industry with innovative products, luxurious packaging and unforgettable chocolate experiences. Vosges Haut-Chocolat is proud to be a certified WBE and DBE, and is dedicated to delivering sustainable luxury through each purple box. ZappRx is a digital health company that is streamlining the way specialty medications are managed. ZappRx provides a secure collaborative online platform that allows patients, physicians and pharmacists to work together to improve patients’ access to treatment, delivering medicine faster, with fewer hassles and greater transparency. Tech Crunch announces that, Little Spoon, who has already delivered 1 million meals, has raised a $7 million round of funding. Inc. lists the ”50 World-Changing Startups to Watch in 2019,” according to Kairos. “ZappRx and Bayer partner to improve access to specialty medications,” says Healthcare Finance. “Global impact gamification campaign to benefit oceans announced at decade of women forum in Iceland,” says iCrowd Newswire. "AB InBev Joins Pot Industry With Tilray Beverage Partnership," says Bloomberg. We are entrepreneurs ourselves and fans of people that create and build products or services that make the world a better place. If this is you, we’d love to hear from you. Thank you for connecting with Seven Hound Ventures. We will respond as soon as we can.